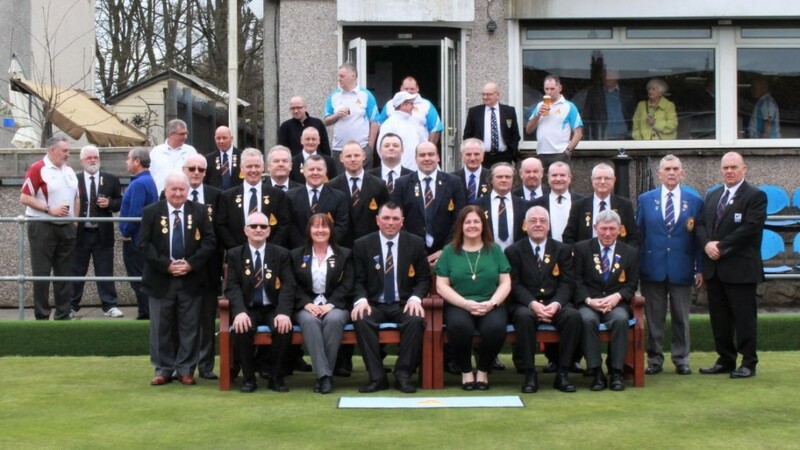 Our 2018 season got underway on Saturday 7th April with the weather being kind for the opening of the green, performed by the President’s wife, Tracy McCarry. President David McCarry introduced his green party – Ian Allan (Bowls Scotland), Jack O’Malley (DBA), Tommy Pender (Past President), Sharon Gorman (Ladies’ President), Charlie Cassidy (Seniors President), Frank McCarry (Honorary President), John Gillies (Honorary Vice-President), Brian Mooney (Treasurer), John Brodie (Vice-President) and John Rainey No.2 (Secretary) – to the assembled members and thanked the invited guests for joining us on our opening day. He wished all kindred clubs a successful season. David presented John Gillies a special badge to mark his 50th consecutive year as a member of Renton BC. David also invited Billy Murray Snr onto the green and presented him with a badge to mark him becoming an Honorary Member. This had been proposed and carried unanimously at the AGM in November. 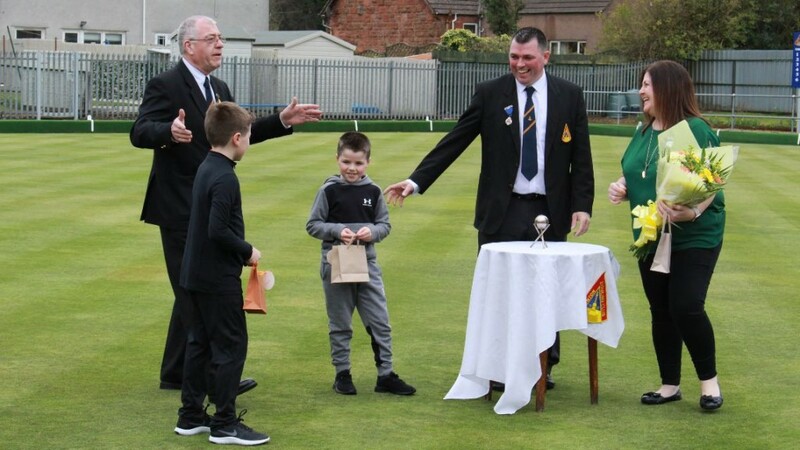 With the formalities completed Tracy delivered the first jack and bowls of season 2018 to a round of applause from everyone present before officially opening the green and wishing Renton Bowling Club every success for the coming year. 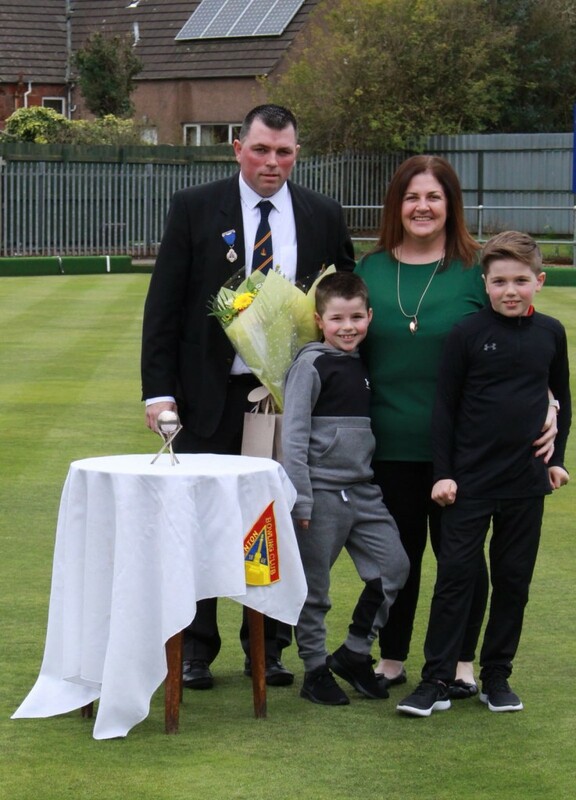 Tracy was presented with flowers and a small gift by her sons, Shaun and Jamie, on behalf of the Club as a token of our appreciation. John Brodie gave the boys a gift each for helping with the presentation. 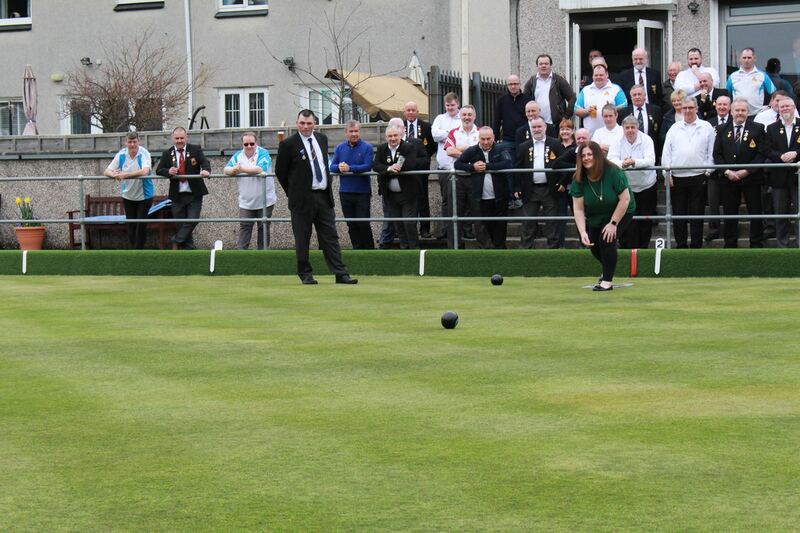 Invited guests then took to the green for a game. After the bowls the invited guests, members and their families retired to the hall for a buffet prepared by Billy & Dehlia Murray. Afterwards, an enjoyable time was had in the members’ lounge with Eileen Scullion providing the entertainment.